An apple a day… will make you fat. Apparently. Home / News / An apple a day… will make you fat. Apparently. The “it” word is steering us away from fruit and vegetables and for some reason we are believing it in a misguided attempt to be healthy. The so-called “it” word I am referring to is sugar, and guess what?! Fruit and vegetables have sugar in them – in fact some of them have lots of it and I hate to break it to you, they’re not the problem. Each and every day Aussies are surrounded by messages of what we shouldn’t be eating because we are told as a nation that we need to watch our waistlines. This has led us to follow the latest fad diet that we saw in our Instagram feed as opposed to actually going to the professionals. A recent survey by LiveLighter highlighted that many Victorians have a misconception about what is “healthy” when compared to expert opinion. Here’s another fact for you, four in five Australian’s aren’t eating enough fruit and vegetables according to the CSIRO. In fact, the CSIRO has said the numbers were worryingly low. So, imagine my frustration when I see a Boost Juice cup lined up with a range of nutritionally void beverages with a pile of sugar sitting in front of it somehow claiming that its entire sugar content is the same as added or refined white sugar. This isn’t comparing apples with apples, it’s comparing something made in a lab with something that is made right in front of you with real fruit and other ingredients including yoghurt which contains lactose (another naturally occurring sugar). Let’s get real here people, if we believed everything we read or saw online I’m pretty sure the food pyramid would be looking pretty bleak and we would be surviving on a diet of just air… oh wait aren’t there air cafes these days?! Recently someone called out to me they were cutting sugar out of their diet so weren’t able to have juice – all the while they were holding a can of “sugar-free” soft drink. At first, I thought he must have been joking, but then I realised that he truly believed this black liquid in his hand with zero nutritional benefit was better than fruit and veg – how confused is that? It seems that when it comes to health we love to compare products, so why is it that we never compare like for like? Just last year Boost Juice worked with researchers Dr Rebecca Reynolds and Ms Sophia Lin from UNSW’s School of Public Health and Community Medicine to analyse the entire nutritional content of a range of popular on-the-go drinks to get a better understanding of what we are all actually consuming. One of Boost’s highest kilojoule and sugar smoothies was rated second best for its nutritional profile out of all the drinks in the study – just months before that exact same drink had been negatively compared to a Big Mac on the basis of calories! Sure, it has more calories than a Big Mac, but the reality is that comparing a nutritional table isn’t always going to tell you the full story – it’s the ingredients list that will. Look, I am not saying every single smoothie at Boost is the holy grail of health, we have smoothies like the King William Chocolate which yes have chocolate in it, but it also has a whole banana and real dairy with pre and probiotics. 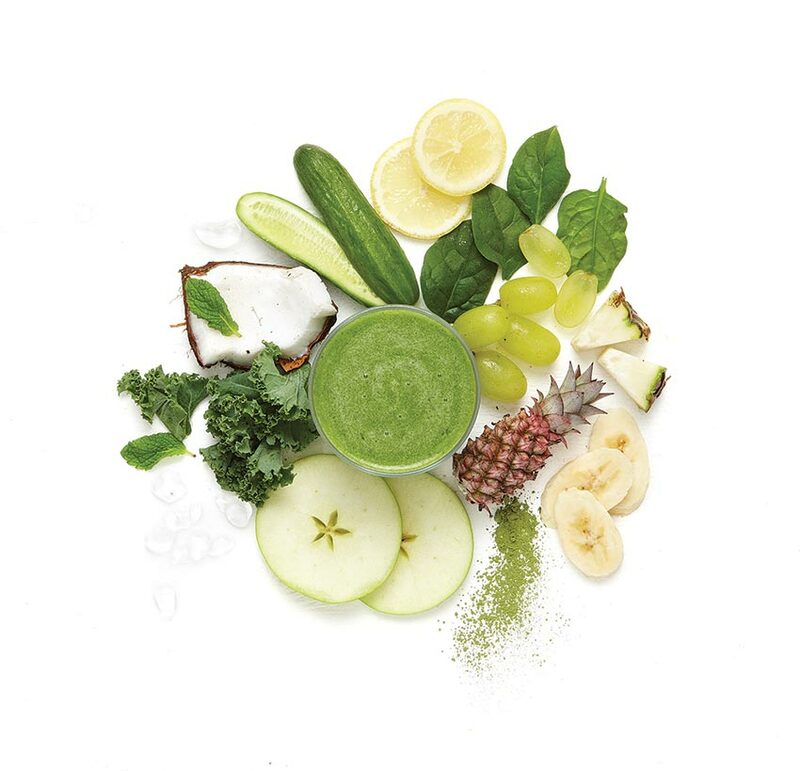 Then we have the Pure Eden which is made using whole fruit and vegetables blended into a smoothie – I would love to one day see the Pure Eden compared to soft drink, but then I’m guessing the click-bait value would dramatically decrease. What I am getting at is that what is “healthy” for one might not be for another. For some it might be taking the stairs whilst for others it might be hitting the gym hard each and every morning at the crack of dawn. Whatever it is know that when you enter a food court you’re looking for something that suits YOU. This is why I am so proud of Boost, we have 270 stores nationally with each and every menu item containing real fruit, and we hand-make 500,000 smoothies and juices every week. Each and every one of those drinks is tailored to suit the needs of the customers, and served up in one of our green cups. I can tell you all about the work we do behind the scenes with nutritionists and health professionals but that’s just adding to the noise. My point is that if the government is going to invest tax payer’s money into educating Aussies about what is and isn’t healthy then let’s look at the stats and let’s do something about them, and right now the numbers are telling us we need to get fruit and veg into more Aussies and to forget about the latest “it” words. Let’s stop comparing and get to grips with real ingredients and real foods that will lead to real results.